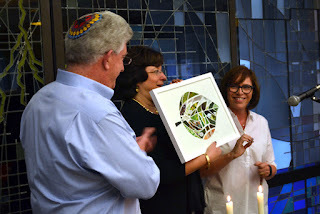 This past weekend URJ Camp Newman held a celebration to honor Jim Heeger and Daryl Messinger for their contributions to and support of the camp over the years – the theme of the evening was "There's No Place Like Camp." This fabulous husband-and-wife duo have been involved with the URJ camps for many years – serving on the board, developing the long-term vision, and so much more. 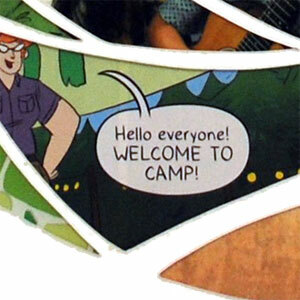 I was so pleased the camp asked me to make a papercut for Jim and Daryl, since I'm at Camp Newman every summer and am proud to call it my second home — and I'm glad to share with you a photo of the presentation (above) and a cleaner image of the papercut (below), which I call "There's No Place Like Camp." 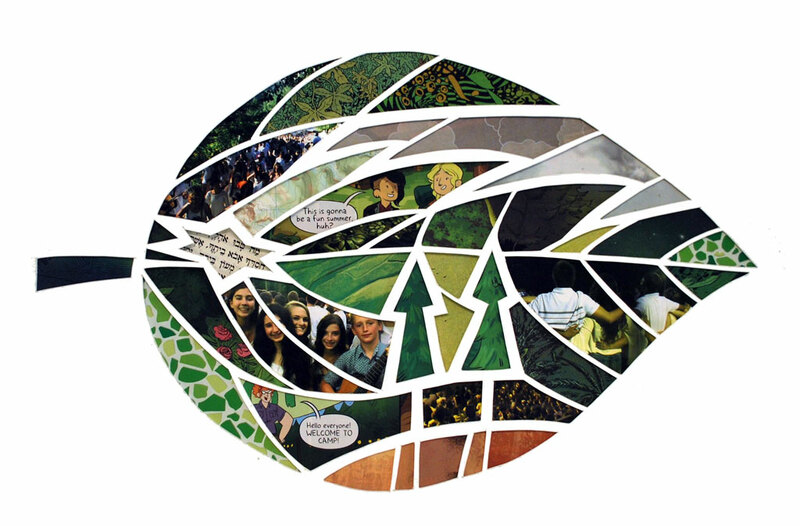 Click the leaf to see it bigger! 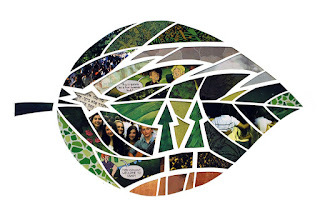 The papercut is based on the leaf shape used in another event element, but I've filled out the structure with a modified version of the Camp Newman logo. And within? 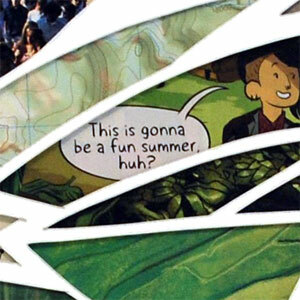 Cut-up comics, of course, including an issue of Lumberjanes. You'll also see a bit of a map (to stress the importance of location), some camp photos, and a little bit of Hebrew text – words from "Mah Tovu," a blessing bestowed upon the Israelites for the beauty of their tents. Lovely piece & perfect for the recipients.